With a simple slip-on design and ultra lightweight construction, the 3LACK (Black) Label Glove offers protection and control at its minimalistic best. 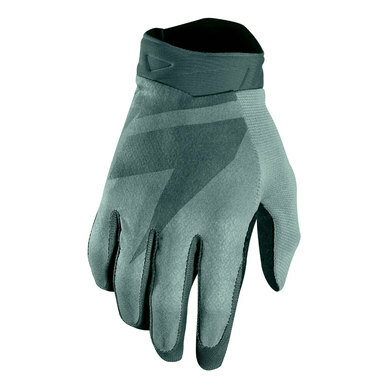 The top of the glove uses a 4-way stretch fabric for a superior fit and optimal dexterity. Stretch mesh finger gussets aid in mobility while also promoting airflow. The palm uses a perforated single layer Clarino® for lightweight durability with an emphasis on breathability and bar feel. Finally, silicone printing on the fingertips provides a non-slip grip and total control of the levers.